So… some good news. Not only am I eligible to receive the John W. Campbell Award for Best New Writer, two of my stories are included in the reader anthology, Up and Coming: Stories from the 2016 Campbell-Eligible Writers. But those stories would not have been included in the anthology if I’d been left to my own devices. More than that, I probably wouldn’t have been acknowledged as eligible if I not for a fortuitous push from my writing friends. When I finish a story or an art project, I’m usually incredibly pleased it. I’m proud of the result. … for like, 17 seconds. After that, the narrative changes. I’m far more likely to trunk a story than I am to submit it for publication. And awards contention? That’s never even been on my radar. Awards are for the authors that I go out of my way to find and read. But according to the eligibility requirements, my clock was already ticking. ‘Some day’ had arrived. I took myself out of the running after barely even acknowledging my eligibility. Luckily, a special guest sat in at my weekly writing group meeting. Mary Robinette Kowal is both a Campbell and multiple Hugo Award-winning writer. My writing group have all attended Mary’s seminar courses, and the Campbell anthology came up when she joined us for our online meeting. As an aside, I’ve benefitted from several of Mary’s writing classes. If you’re quick enough with a computer to get in before they fill up, I highly recommend her as an instructor. Find her online at maryrobinettekowal.com or @MaryRobinette on Twitter. Which seems obvious and true. I mean, if you never ask an editor to publish your work, the answer is by default a no. They don’t even get the choice if you’ve already drafted the rejection for them. The same is true for awards. Submission, rejection and resubmission are elemental components of success as a writing professional. But I’m so good at giving myself reasons not to participate in final, commercial activities of a working artist. For one thing, words on a page are a poor reflection of the iconic imaginings in a writer’s mind. I’ve found the same to be true of music, and perhaps this is something endemic to artist pursuits of all varieties. My own stories – irrespective of how well others appreciate them – always fall short of my expectations, even if only in some small measure. That they will always fall short is something I need to become better at accepting. The harsh clarity of hindsight is another challenge. I’m always learning some new piece of writing craft. It’s super easy to look back at completed works through the lens of whatever writing-nit I’m currently picking away at. The older the story, the more nits I have to pick. But self-rejection is a miserable return for the investment of effort that the creative process demands. So rather than let my two-year window of Campbell Award eligibility swing shut, I’ve pulled aside the curtain and thrown the shutters wide. Two of my stories appear in the Up and Coming anthology. I’m super excited to share those pages with friends I’ve made at writer conventions, classes and seminars. Writers like Marin Cahill and Sunil Patel who attended the Writing Excuses Retreat with me in 2014. Jeanne Kramer-Smith who was in my first-ever writing class. Jamie Gilman Kress and Kim May who I met at my very first Worldcon in 2013. I’m under no illusion that I’ll win the Campbell Award; that honor will be reserved for a writer better equipped to compress the gap between their imagined work and what manifests on the page. But I’m part of a freshman class of blossoming science fiction and fantasy writers. I’m proud of that. And I’m very thankful that I didn’t pass on the opportunity to be included in the anthology or our debut works. The Up and Coming anthology is free to download and available only for the month of March, 2016. My short story The Doom of Sallee is a historical fiction about Barbary pirates and North African politics. It is set in Eric Flint’s 1632 universe and appeared in the November 2015 issue of the Grantville Gazette. Brothers In Arms is a novella written for Star Citizen’s Jump Point Magazine. It is a tale of two ne’er-do-well brothers trying to go legit on the edges of colonized space. It was originally published in four parts starting May of 2015. Best wishes to all the new writers out there, whatever your genre might be. And remember, don’t self-reject! I look forward to reading all of your work for many, many years to come! and his willingness to help authors understand the personal finance side of writing. August was a travel month. My wife is from Slovakia, and we hopped over the pole with the kids to visit her father and family friends. I most certainly wasn’t phoning it in with regards to performance. Quite the contrary, it felt like I produced a better work product than I did in July. Still, the pace was modest. Even though I was writing, August felt like a vacation. I had a nice development on the fiction front in August. It’s nothing that I’m willing to share specifics on yet, but I had some interest in a short story that I wrote back in June. More on that if/when I have a contract in hand. I wrote non-fiction and edited a short story in August. Although I got some cool story ideas from Slovakia, it was a bad month for new fiction. For the record, I’m married with two young children and am very active with the family. My wife travels (often for extended periods of time), so I single parent when she’s away. I have a full-time job and we own a small business. My wife and I coach mountain biking in the summer and cross country skiing in the winter. Writing for me is predominately constrained to evenings, with an occasional weekend-daytime sprint. Fiction is my passion, but I sell more non-fiction words. I hit a bit of a wall in July. I think my writing may have suffered because of it. I certainly feel that I suffered because of it. But even so, it was a good month for the revenue numbers. With regards to non-fiction work, July was very similar in volume to June. I’ll be dialing that back starting in August. It’s just too much work on top of life, kids, summer and all. I turned in a sub-par piece to one of my best clients, something I’m not at all comfortable with. I didn’t charge them for the work, so July’s numbers should have been even better. On the plus side, I was able to bill for the balance of a 2013 fiction sale. It’s nice to finally get some fiction numbers into these updates! I wrote and invoiced for both fiction and nonfiction in July. The October 21 episode of Drive Write focused on including an appropriate amount of description in stories. I recorded the podcast in response to some comments that David Farland made in an online panel and discussion of those comments in this thread on the WotF forums. Many starting authors fail to include enough description in their stories. This doesn’t mean that all stories will benefit from more narrative description. It means that otherwise good stories will suffer if they don’t have the description necessary to engage the reader and drive the plot. It was a good podcast and well-recieved. I’m sure my thoughts on the topic will continue to evolve as I gain experience and improve as a writer. The topic generated enough discussion for me to keep it in mind as I worked through NaNoWriMo this year. I was reminded of it again when I saw this Dave Wolverton quote in an email update from the Writers of the Future contest. Again, I’m not saying that every story needs some hypothetical percentage increase in descriptive content. 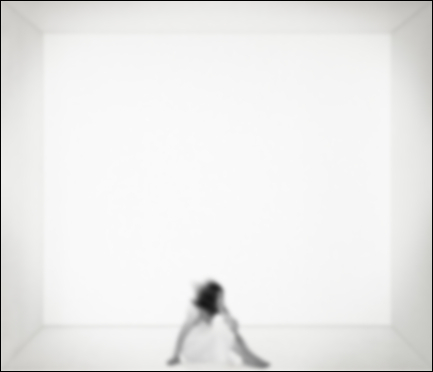 There are, however, plenty of us who suffer from the white room syndrome. A little reminder to clue listeners in on the whos and wheres of our stories is a valuable thing. So… this is a comment from Dave Wolverton. Wolverton is the Coordinating Judge for the Writers of the Future contest and this is in response to a question about common mistakes that judges find in WotF submissions. “Originality is the key element to a story being selected as a finalist in this Contest. It always has been and always will be. You need to come up with fresh ideas to be a successful writer, so we are looking for those who have their own imagination. “Your story must also resonate with the reader. The main problem that I see are that setting or character description are lacking. The writer has not informed the reader enough about where you are, the circumstances, or the character is barely described. This accounts for 90% of all story flaws. Interesting advice from someone who sees more than his fair share of stories. I felt a quick reprise on the subject of appropriate description was worth a post. This week on Drive Write I’m talking about writing out of order. The gist of my argument is, if there’s a piece of your book that you’re excited to write… write it. Stitch everything together later. You’re going to have to write the entire story eventually. Might as well write the stuff you’re excited to write when you’re excited to write it. Right? If you’re doing NaNoWriMo this year, you should be past the half-way mark at this point. Great job! Regardless of how you’re doing this year on your NaNoWriMo project, you might benefit from a little encouragement and strategic advice. If you’re not already listening to them, I’d encourage you to check out Mur Lafferty’s daily I Should Be Writing podcasts. She’s posting every day through the month of November to help us all accomplish our 50k word goal. Until next week. Good luck, be well and write hard. Hello and welcome to Drive Write, the podcast about one storyteller’s journey to becoming a published author. Today on Drive Write, I talk about word count. What is it, why is it important, and why is it timely to talk about word count in November? For those unaware, November is National Novel Writing Month. Or, NaNoWriMo, for short. The goal of NaNoWriMo is to write 50,000 words in 30 days. And why, you might ask, does NaNo measure progress by number of words? If you’re interested in writing fiction (or writing anything, for that matter) then word count is a great way to track your progress. Much better, I think, than page count or time spent. Setting and tracking your performance against a word count goal is a fine way to keep you moving on your projects and to keep you honest. And that’s what I cover in today’s Drive Write podcast. As a brief aside… I also mention that Droblar.com launched today. Droblar is a weekly web comic that started as a bedtime story for my kids. I’ll update the site each week on Tuesday morning. Leave a comment and let me know what you think. Drive Write: NaNoWriMo Bonus Cast! Drive Write: Episode 10 – NaNoWriMo Bonus Cast! What’s this? A BONUS CAST!?! NaNoWriMo.org – Write or write not, there is no aspire. I Should Be Writing – Campbell award-winning Mur Lafferty‘s podcast where she’s giving us regular inspirational, educational, motivational and MightyMur-tional podcasts to get everyone geared up for the big month. I also make an announcement about the new Drive Write podcast logo. You know, uh… just in case you missed the big JPEG in the upper righthand corner. I wrap up with a BONUS, bonus announcement where I introduce the Droblar web comic that will launch next week. The past six weeks have had me at three conferences in as many states. I’ve traveled from Alaska to Texas, back to Alaska, down and over to South Carolina, back again to Anchorage, up north to Fairbanks, and finally back home to stay. Somewhere between coming home from Charleston and leaving again for Fairbanks, I recorded this. It’s a collection of my thoughts on writing while on the road and how to keep productive. I don’t know about you, but planes, late nights and strange hotel rooms don’t necessarily inspire me to great volumes of writing. However, I’ve found a couple defensive measures that keep me in the game. I hope you find them valuable on your travels. This week on Drive Write, I talk about describing characters for your readers. One of the critiques that I’ve received in the past is that I fail to give enough physical description of my characters. I still think that there are plenty of situations when it’s more appropriate to leave a lot to the reader’s imagination. However, I will concede that a reader should at least have enough descriptive context to form their own mental image of characters and the settings that they’re in. Like most things, this can be done well or poorly. In today’s cast, I give an example of a classic descriptive-blunder that I made in an early draft of Cravings. Let me know in the comments if you have description tips or pitfalls to share of your own.